While smoking is the No. 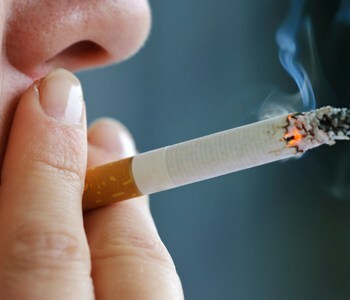 1 risk factor for lung cancer, smokers are not the only people who fall prey to this serious disease. Secondhand smoke, exposure to asbestos and radon, air pollution, tuberculosis and genetics can all contribute to a person’s risk for lung cancer. Exposure to radon gas is another big risk factor for lung cancer. Radon is produced by the natural breakdown of uranium in soil, rock and water, and unsafe levels can accumulate in the air. “Additionally, if you are routinely exposed to secondhand smoke in your home or at work, you are susceptible to lung cancer,” says Meadors. For more information, visit the Cancer Institute page. Saint Francis offers free lung cancer screenings every Thursday from 12:30 pm-3:15 pm. This screening is for adults age 50 and older. An appointment is required. Call 573-331-3996 to reserve your spot.